Enormouse lives with the other mice in the cosy mouse house. He's the odd one out because, as his name suggests, he is enormous. Still, his size comes in handy when hauling giant lumps of cheese or reaching for food in hanging cupboards. Then one day disaster strikes! Enormouse finds out he is really a rat. An identity crisis ensues and Enormouse sets off into the big wide world to find himself and his fellow rats. 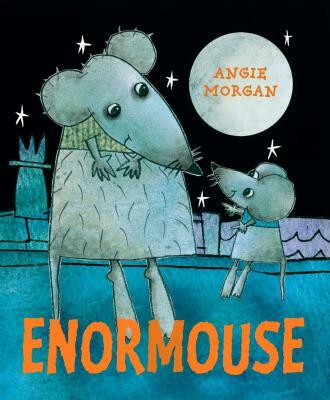 Angie Morgan's delightful follow up to Daisy's Big Dig not only dishes up an entertaining story but deals with the issue of identity in a subtle and humorous way. The simple text flows easily from spread to spread and the illustartions, often laid out in comic book style, hum with bright colours. The mice, who are all given names in a spread at the end of the book, all look terribly cute. 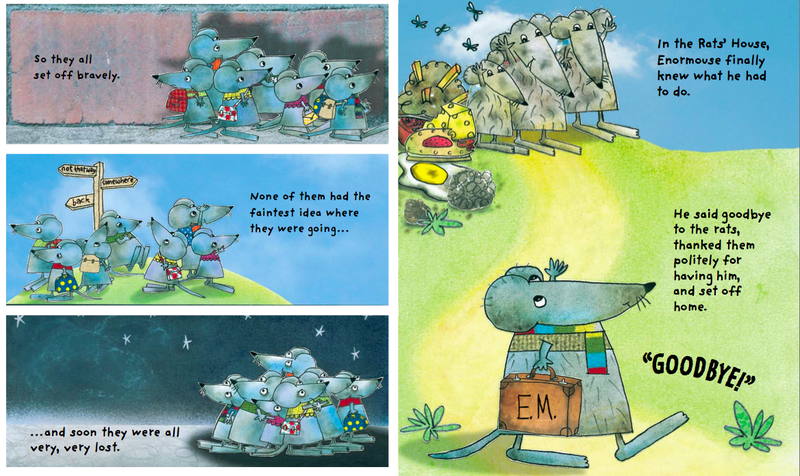 The rats too come across as loveable creatures, making this book the perfect springboard for classroom discussions about belonging and acceptance. Not that Enormouse should be confined to schools and libraries. Above all this is an entertaining story that wears its big rodent heart on its sleeve! Thanks for another great picture book review, Saviour! You're welcome, Penny. It's one I enjoyed very much. SuperPayMe is the #1 work from home website.